Discover the vital truths from the Bible, and take the first essential steps in getting to know God! The Gate to Life has five lessons with basic teaching from God's Word, the Bible. 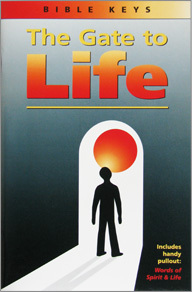 This book holds the keys to righteousness and happiness for everyone, impacting both this life and life after death.